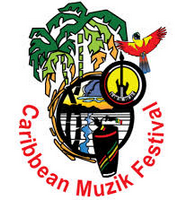 Cuban Omara Portuondo will be one of the awarded singers at the Prize Living Legend given by the regional event Caribbean Muzik Festival,that will take place from October 28 thru 31 in this capital. Together with the diva (84) five other singers will receive the distinction: Masekela (South Africa), Ronnie Butler (Bahamas), Jimmy Cliff (Jamaica), Emile Straker (Barbados) and McCartha ‘Calypso Rose’ Sandy-Lewis (Trinidad and Tobago), all considered high-calibre artists. The prize recognizes each year the Caribbean artists and from other latitudes who have an outstanding career inside and out of their countries of origin. Portuondo is qualified as one of the best voices in Latin America and is even frequently named the Cuban Edith Piaf for her musical talent. Along her extensive career she received several important awards inside and out of her native Cuba, among them the National Prize of Music 2006.